20.1HELP GOSTICA RAISE THE VIBRATIONS AND SHARE THIS ARTICLE WITH YOUR FAMILY AND FRIENDS. Remaining positive is a kind of a proportion that usually focuses on positive results. In order to start thinking positively, people need to be able to anticipate if they are happy, healthy or successful. Being an optimist does not mean that negativity is being ignored, it means that the person has chosen to recognize the existence of negativity but he decides to focus on the positive instead. Long story short – to be positive is to have faith, so read the following and please retain your positivity. It will lower your levels of stress, it will improve your memory and make you feel a tad younger. Remove yourself and your problems from the center of attention; everyone has problems to deal with. If you help others you will be happier and realize that no matter how hard it is for you at the moment, it is harder for someone else. Appreciate the positive vibe around you, this will help you in raising your spirit and boosting your mental abilities. If you’re feeling mentally tired or devoid of strength, take some mental downtime, it is crucial for your positive perspectives. A good laugh will strengthen your immune system, improve your mood, lower your pain and protect you from stress. You can watch a funny movie or series. 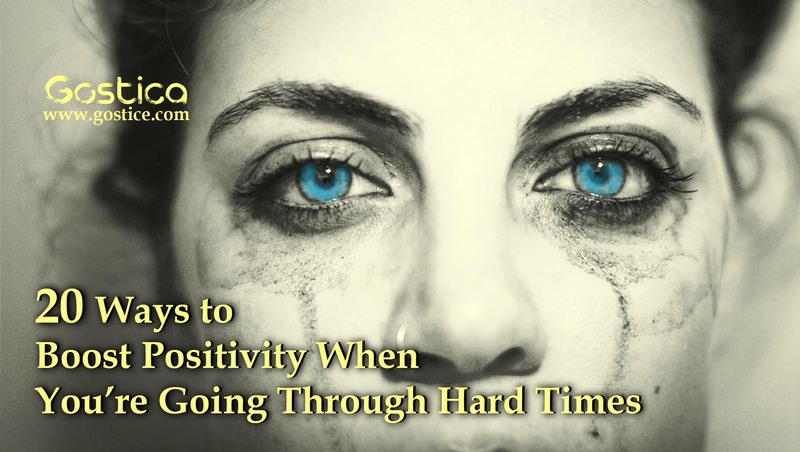 Researchers have discovered that stress is transmissible, but so are positivity and negativity. Try and spend more time with positive people, this will be of great benefit to you. Put differently, always look for a silver lining, and be ready to find the positive among the negative in any situation. You might not think it effective, but taking deep relaxing breaths calms people and enables them to focus easily. Start some breathing exercises and get rid of the toxic air piling up in your body. The new fresh air will clear your thoughts and help you improve your cognitive abilities. Face the thing that’s happened, even though it’s negative. Think of the most positive thing you can do, get rid of the negativity, and move on. If you don’t do it, negativity will just pile up and will explode later on with worse consequences for you. Try and tell yourself: Things will work out well. Try and say those words aloud. This will make the message more intense, and you will have more chances of succeeding. This will help you in hearing out your problems, and will also give you a different perspective. It’s therapy done for free. Researchers have discovered that walks raise the spirits of people. Having a walk will also make you feel calmer and more relaxed because of your nerve cells will spark in your brain. Exercising will improve your physical figure and your mental figure too. According to studies, working out helps in decreasing anxiety and improving your mood. The brain chemicals released during exercise ease the negative feelings and help in relaxing. Scientists have proved that lack of sleep has an immense impact on mental health. Scientists from the Pennsylvania University, have shown that people who are likely to sleep less than five hours a night for a period longer than a week tend to feel more anxious, depressed and tired. The journal will help you inventing and releasing your negative feelings. It can also provide help if you want to find the core of the problem that’s been bothering you. Even though you are not feeling physically ill.
It’s good to have your batteries recharged occasionally, indulge in whatever you want as long as you are out of danger. Focusing on the future or on things that have passed will prevent you from living in the present and impede your progress. If you dedicate yourself to thinking positively at present you will reap the fruits in future too. You can be healthy, eat well, sleep well or exercise regularly, but your body and soul will not be a balance if you don’t have spiritual food. Try and meditate, say a prayer or read something spiritual, you need to enhance your spirituality. This will improve your positivity at once. You don’t need to throw a party to celebrate a victory. It would be enough, just admit it, tell yourself that you’ve been good and be happy about it.